There isn’t anything particularly special about Bobby Valentino other than the fact that he is wholeheartedly endorsed by Ludacris. That isn’t to say that he doesn’t make good music. On his sophomore release, Special Occasion, Valentino continues to make radio-friendly R&B with a hip-hop edge. The album is a suitable diversion full of mid-tempo club joints and syrupy ballads that works for the most part. The only thing that hinders things is the vocalist’s lack of personality. 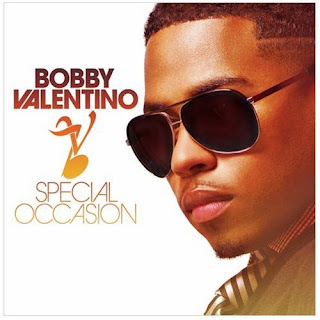 Valentino has a voice that recalls that late-80s/early 90s mainstream soul. Artists like Guy, 112, Blackstreet, and Jodeci may come to mind. However, Valentino can’t seem to create an identity for himself outside of the normal loverman stereotypes found in the genre. Interestingly enough Special Occasion’s first single is the Timbaland assisted “Anonymous”. The throbbing club hit may as well be talking about the singer. Throughout the album excellent productions and guest appearances outshine the singer’s talents. Ludacris lends support to another standout Timbaland production, the slinky “Rearview (Ridin’)” while Fabolous livens up “Let Him Go”. The productions are mostly midtempo grooves such as the pop flavored “If I Had My Way” and “Only Human”. Things fall apart thanks to excessive ballads, self-indulgent interludes and a painful cover of Babyface’s “Soon As I Get Home”. Where Babyface brought sensitivity, Valentino merely brings competency.